Nigeria missing girls Boko Haram rescue: 200 reportedly found along with 93 women. 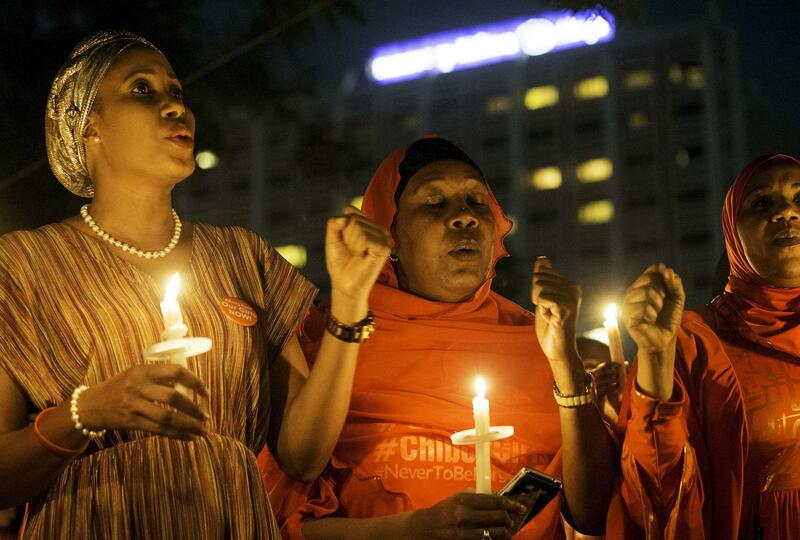 An April 14 vigil, held in the Nigerian capital of Abuja, for the girls abducted in 2014 from the town of Chibok. Nigerian defense authorities say that 200 girls and 93 women have been rescued from Boko Haram captors in the country’s Sambisa Forest. According to Amnesty International, some 2,000 female Nigerians have been kidnapped since 2014 began, including more than 200 taken from the town of Chibok in a high-profile incident last April; it’s not yet clear whether any of the Chibok captives were among those rescued during the operation that was just announced. Nigerian President Goodluck Jonathan recently lost his re-election campaign to challenger (and former national leader/strongman) Muhammadu Buhari, a defeat attributed in part to his administration’s ineffective military response to Boko Haram’s attacks and seizure of territory. As Buhari’s inauguration isn’t until May 29, though, Jonathan is still currently leading the government.